Members of Iran's parliament have been granted access to prisoners who were detained in the wave of anti-government protests that rocked the country at the turn of the year. "Today our application was approved," Hassan Norouzi, spokesman for the judicial committee, was quoted by the ISNA news agency as saying on Sunday. The visit would be the first of its kind since the protests, which began on Dec. 28 and swept across the country, initially giving voice to economic woes but later growing into a broader anti-establishment movement. Only a select few members of the parliamentary committee would be allowed to visit the Evin prison in Tehran next Sunday, according to the ISNA report. Allahyar Malekshahi, who chairs the judicial committee, confirmed that the group's request had been given the green light. He told the Ilna news agency that around 10 lawmakers would be granted access initially. Others would need to apply for permission separately. More than 3,000 demonstrators were arrested in the protests, according to parliamentary figures. The parliament's health committee has also pushed for access to the detainees. "Some of the detainees could need urgent medical and psychological care," committee chief Ali Nobakht Haghighi told Ilna, pushing for members of his group to also be allowed to visit. Reports of suicide in the prison have raised concern and skepticism, along with calls for independent investigations. For over a week, the reformist faction in parliament and civil rights officials from the office of President Hassan Rowhani have sought to visit the detained protesters. According to a judicial spokesman, some may face the death penalty. The approval on Sunday came hours after Iran's Interior Ministry submitted a report on the driving factors behind the protests. The rioting and widespread demonstrations were caused by domestic groups, Iranian secret service chief Mahmud Alawi said, dismissing claims that foreign powers had been behind the unrest. The demonstrations were driven by public opposition to economic policy and high inflation, resulting in anger being directed at the entire regime, Vice President Eshaq Jahangiri claimed. 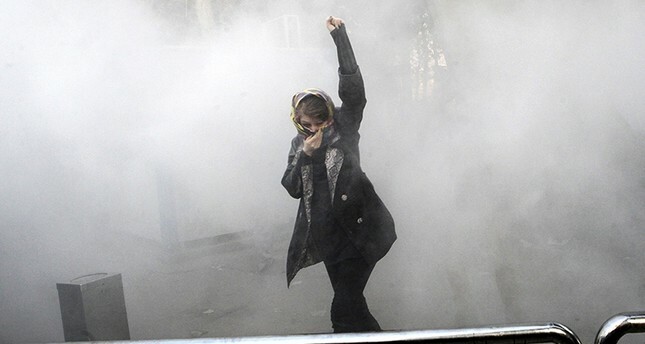 Both he and Rowhani have blamed the unrest on ultra-conservative hardliners opposed to reforms. Rowhani intends to comment on the report on state television on Monday evening.